Evah Pirazzi Violin Strings have a synthetic fiber core that produces a complex, brilliant tone that is rich with overtones. These strings are extremely responsive and have an exceptional dynamic range. These expertly crafted strings will capture all the expressive nuances of the player. 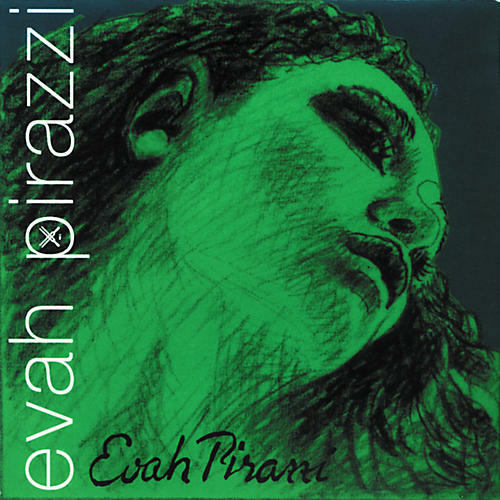 Evah Pirazzi strings are long-lasting, consistent, and are highly resistant to changes in temperature and humidity. By working closely with professional musicians, Evah Pirazzi strings have been developed to function extremely well for soloists looking for a string with a full tone, but with a noticeable edge. Computer-aided manufacturing techniques with strict quality-control ensure they will perform at the highest level. Modern PIRASTRO strings set an industry standard.